Flying Crane Hand Forged Samurai Sword | BUDK.com - Knives & Swords At The Lowest Prices! Behold the beauty of this truly unique sword! 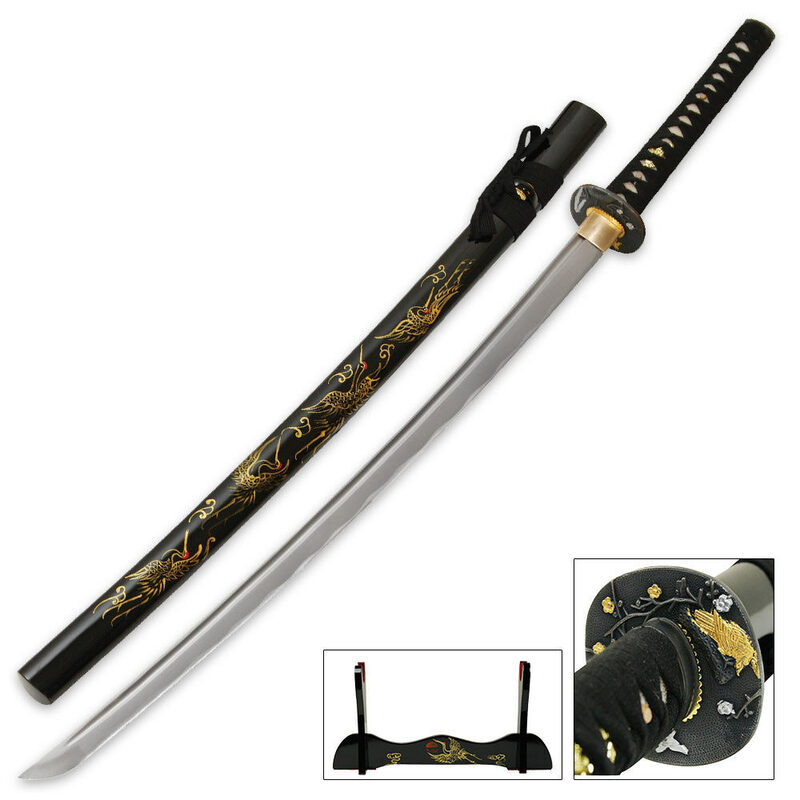 Equipped with a 26 1/2" hand forged carbon steel blade with a blood groove down the length of the entire blade, this sword is high quality. 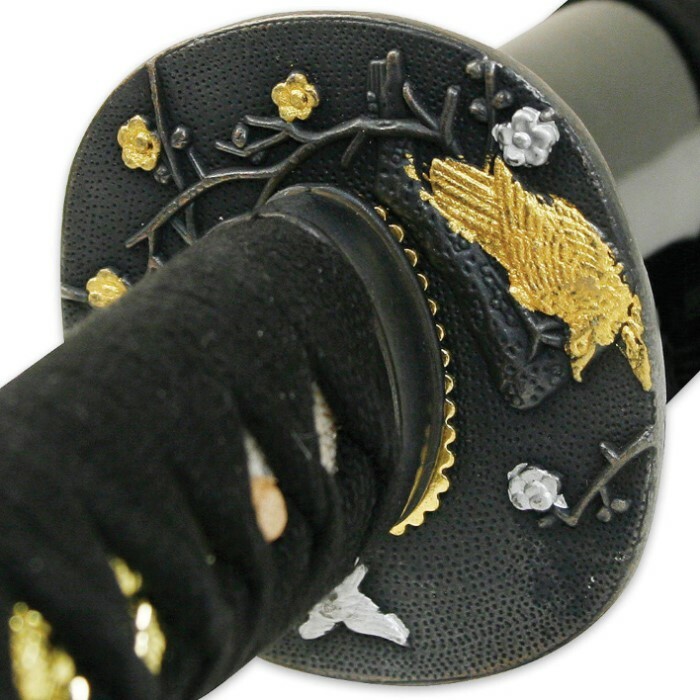 The handle offers genuine ray skin with a black cord wrapping and a cast metal tsuba with intricate flying crane details. 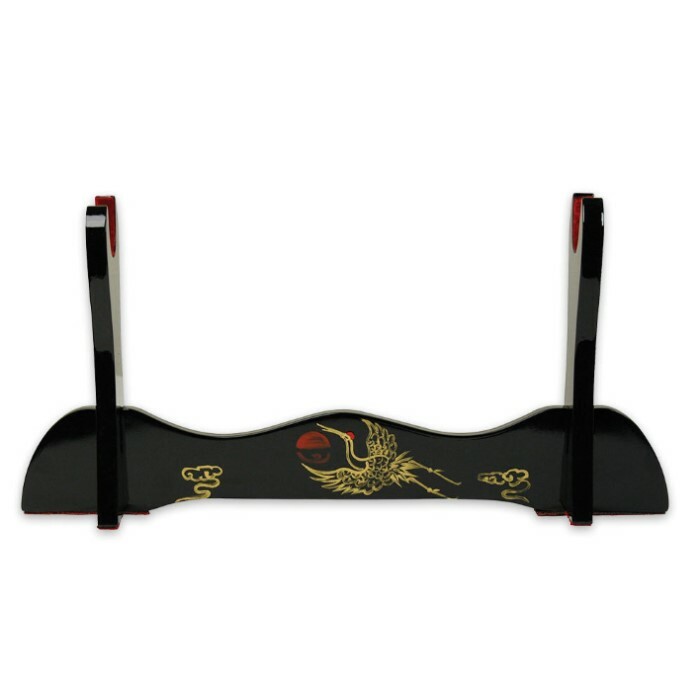 The scabbard is black lacquer finished with graceful flying crane hand-painted details. Includes a black lacquer finished stand with red velvet lining.